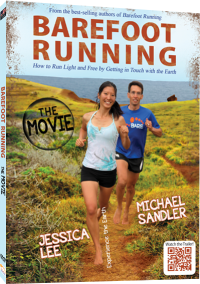 Featuring best-selling authors, Michael Sandler and Jessica Lee, this 76-minute inspirational how-to video covers everything you need to know to get started on the right track and safely. With jaw-dropping scenery and a soundtrack to get you pumped and ready to go, you'll approaching running, shod or unshod, with renewed passion. Or watch instantly on any device! Click here!